Get all of the information you need to know on getting a new retainer in Boca Raton at Dr. Pam Orthodontics. At the end of Orthodontic treatment, patients are given a set of retainers to hold their teeth in the exact final position in the mouth. Although the teeth may be stable at that static moment in time, it is inevitable that our body is constantly undergoing physical changes. For this reason, patients are encouraged to wear their retainers indefinitely in order to prevent undesired tooth movement. 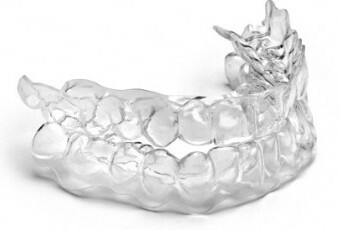 These clear retainers are made of a plastic material that is heated and formed to perfectly adapt to the shape of your teeth. This type of retainer has an acrylic plate that is adapted to your palate on the top and behind your teeth on the bottom. A metal bar is attached to wrap around the front teeth to hold them in position. A metal bar also crosses the back teeth to add retention and hold it in the mouth. 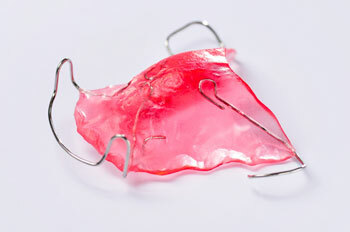 This retainer is fabricated from a metal wire and is glued to the insides/back of your front teeth to prevent them from shifting. All three of these retainers are great options. Dr. Pam will determine which one is the best to maintain the outcome of your treatment. (2) undergo mild orthodontic treatment to quickly move those teeth back to where they used to be and get a new retainer made to the ideal position (a little smile maintenance!). Once the teeth have moved significantly, more extensive Orthodontic treatment will be needed to re-gain your desired smile and bite. I just lost my retainer. Can I get a new one? Of course! Dr. Pam can take new impressions of your teeth and you can receive a new retainer that same day. If you have never seen us before, we would love to welcome you to the Dr. Pam Orthodontics family! My retainer doesn’t fit. What should I do? If you are happy with the current position of your teeth, impressions can be taken for a new set of retainers. If you would like to make some minor changes to your bite/smile, Dr. Pam will discuss treatment options to re-align the teeth. New retainers will be made off of this desired position. I haven’t had a retainer in years. Should I get one now? Definitely! Even if you had braces many years ago, a retainer can hold the teeth where they are now and prevent any need for future Orthodontic treatment. I never had braces. Do I need a retainer? 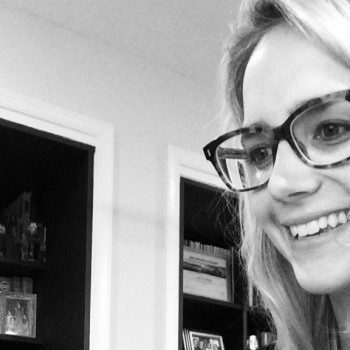 Retainers are great for everyone — even if you never had Orthodontic treatment! If you were lucky enough to have naturally straight teeth, a retainer can help to prevent any future changes throughout your life and ensure the stability of your smile. Brush your retainer with soap and water every time you brush your teeth. Every so often, you can soak the retainer in a glass of water with a denture-cleaning tablet (Polident or Efferdent work great!). Do not use warm water as it can cause distortion of the appliance. Pamela Steiger, D.M.D. is a specialty-trained Orthodontist who performs the most cutting edge orthodontic treatments while providing the best patient experience. At Dr. Pam Orthodontics, we use the most advanced equipment, materials and techniques to treat patients in our state-of-the-art dental center. 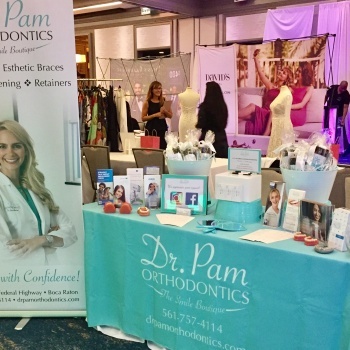 Dr Pam’s expertise with clear braces and Invisalign allows her to improve your smile in an aesthetic manner and integrate seamlessly into your lifestyle. Dr. Pamela Steiger practices orthodontics in Boca Raton, Florida treating orthodontic patients from Boca Raton, Delray Beach, Deerfield Beach, Lighthouse Point, Parkland, Boynton Beach, and Ft. Lauderdale as well as providing orthodontics to patients from all over the US and from around the world.